The Uncorked Cottage is a Rosemary Beach sanctuary, sure to fulfill your highest expectations of the perfect beach vacation home! Professionally decorated from floor to ceiling, this property boasts elegance and class. You’ll find light colors and modern beach accents like driftwood, cork and seashells throughout. The Uncorked Cottage features 3 bedrooms and 3.5 baths, accommodating up to 8 guests. The first level offers an open concept kitchen, dining and living room, flooded with natural light from the many windows and tall ceilings. Enjoy the convenience of a fully equipped kitchen to cook up all your family favorites. The back porch opens directly onto a small grassy green, perfect for a breathe of fresh air. On the second level you’ll find the master suite, guest suite and laundry closet. The guest suite holds a KING bed, flat screen TV, private bath and small private balcony overlooking the courtyard. There’s more than enough space for 2 in the master suite with a KING bed, study nook, walk-in closet & large private bath. 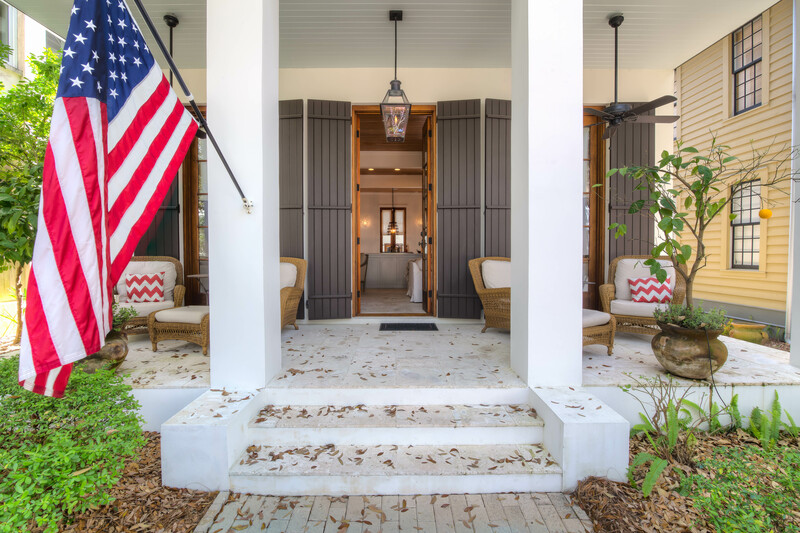 Take a break on the private balcony styled with an oversized porch swing and seating area, complete with custom cushions and shutters you can leave open or close for a little more privacy. We recommend leaving the shutters open since the balcony overlooks a beautiful green with fountain and large tree limbs hanging overhead. Moving up to the third level, this loft style room holds 4 TWIN beds, a flat screen TV & full bath. The courtyard is fully furnished and provides access to the gas grill. Reserved parking for one vehicle will be provided with this home, as well as four complimentary YOLO bikes. 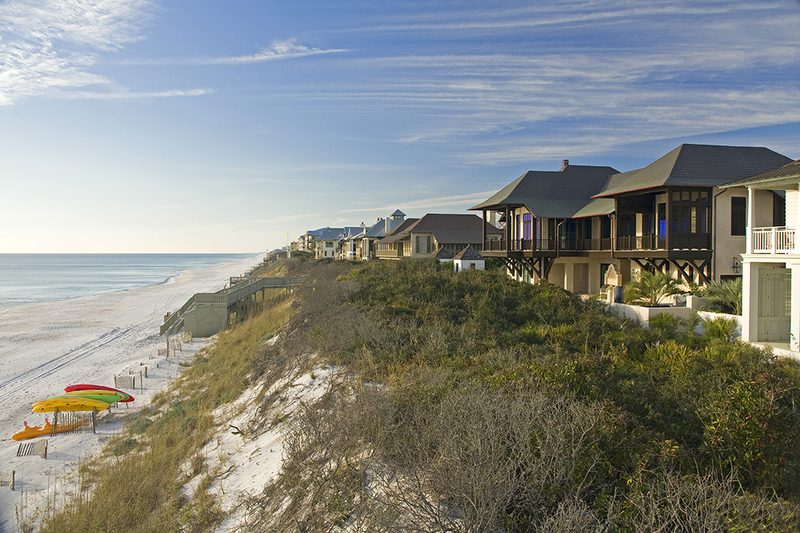 What better place to ‘uncork’ and relax than the Uncorked Cottage in Rosemary Beach? The Uncorked Cottage also has an Uncorked Carriage House that can be rented with it at a 25% discount. Rosemary Beach was a great destination for our two families with young children, but I would also recommend coming back with couples or for a girls trip. The house was great! The only downside was there was very loud construction next door all day every day! Great. Home is well-designed, well-built, clean. Perfect for our gang of 10, including 8 kids ages 10-15. Fabulous trip to Rosemary Beach! 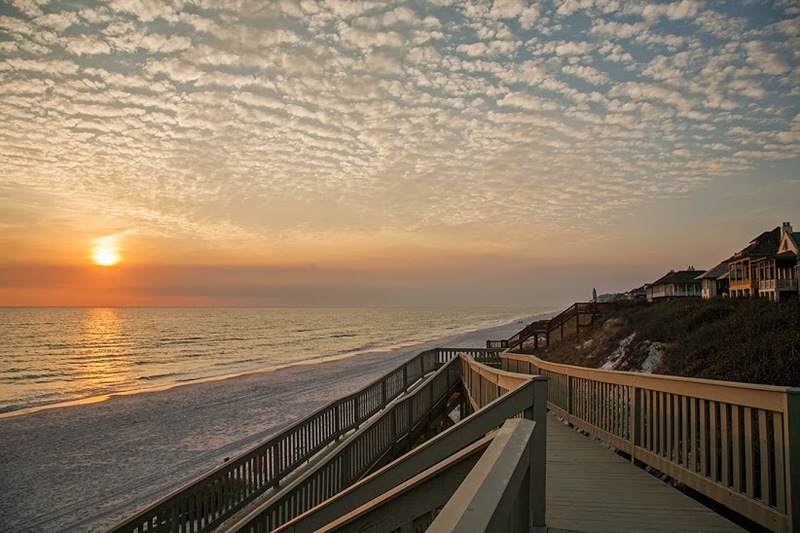 We had a great time on our first visit to Rosemary Beach in early May. The house was immaculate and left very little to desire. The two bedrooms on the second floor were well sized. The master bathroom was huge and the guest bathroom was quite a bit smaller but manageable. The only thing I would note is the "third" bedroom on the third floor does not have a door - it serves more as a loft. It wasn't a huge deal for us since our child slept in a pack n play but if you have little ones that could get out of bed you would probably want to put up a baby gate at the top of the stairs. The location was great, an easy 3-5 minute bike ride to the beach or the square. Great place to spend our 25 wedding anniversary. Love the outdoor patio off of the master bedroom. Love the neighborhood. Thanks for sharing your beautiful home. Wonderful trip! Home was a perfect layout! The rental company, Chris especially, went above and beating to make sure everything was going well!! We loved this home! It was a beautiful. Just FYI there are lots of stairs. So packing luggage is a chore up to the top floor. But overall the home was beautiful and fully equipped for everything we needed. We loved the house, very cute and great location. Only thing I would say is to add a mattress pad to the king room that is not the master bc it felt like we were sleeping directly on the mattress. Thank you so much for staying with us and for the feedback about the guest bed! We will make sure that we take care of that immediately! Please don't ever hesitate to provide feedback while staying in one of our properties, as we will always do anything and everything we can to take care of it promptly! And of course, please let us know if we can ever do anything to be of service in the future. We very much appreciate your business and are glad that you enjoyed your stay in the Uncorked Cottage. Please let us know if we can be of any assistance in the future, and we hope to accommodate you again! Had a great stay at Uncorked! Uncorked was a lovely vacation home. Room for everyone to gather and spread out. We loved the porch over the courtyard for morning coffee and afternoon drinks. The house is just a short walk to town and the beach so our cars stayed parked. The house was clean and the linens were nice. We would stay there again. Thank you very much for staying with us! We are glad you enjoyed the Uncorked Cottage! 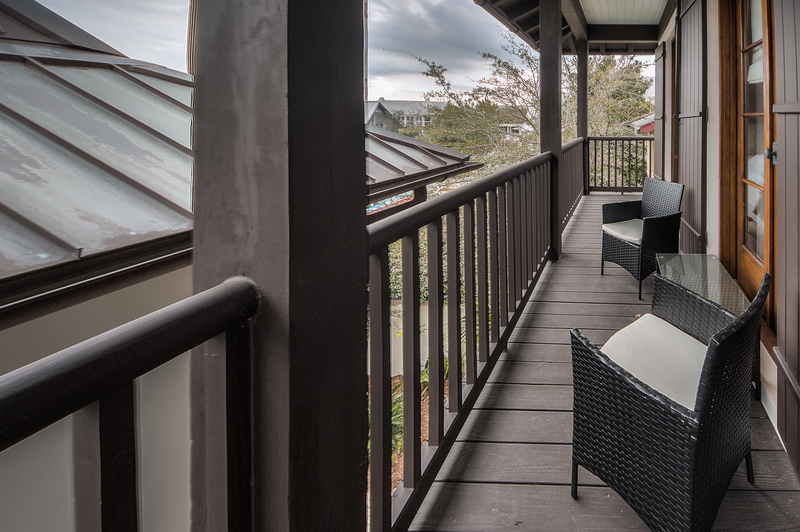 The porch overlooking the courtyard is definitely an amazing spot for your morning coffee! We look forward to being able to accommodate you again, and please let us know if we can be of any assistance in the future. We loved this house. The open floor plan, kitchen, living room space was perfect for our family. The kitchen is great and we ended up cooking many of the nights. I would definitely stay again. Thank you! We definitely hope you do come and stay again! We very much appreciate your business and are glad that you enjoyed your stay in the Uncorked Cottage. Please let us know if we can be of any assistance until we see you again! Uncorked Cottage was absolutely delightful. The amenities were amazing. We loved how close it was to all of the great restaurants Rosemary has to offer. 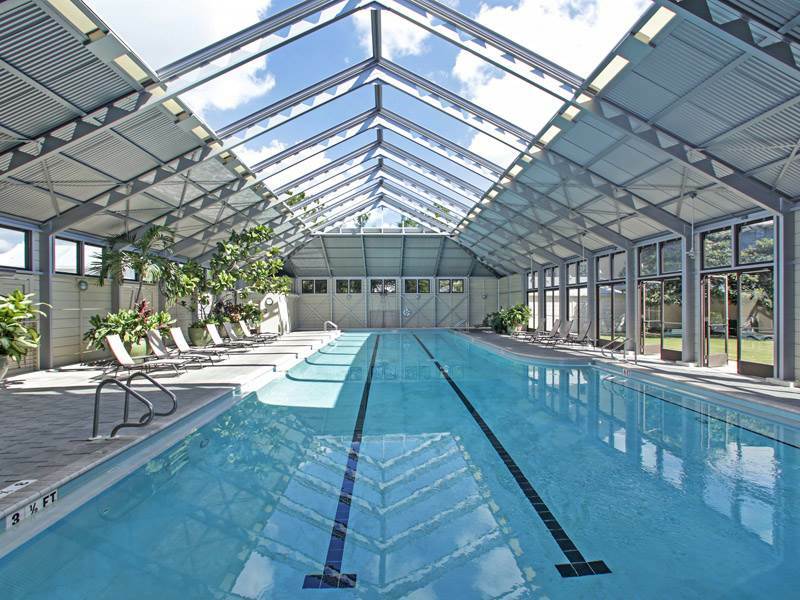 The pools and beach are just a couple of minutes bike ride away. The 30A Luxury Vacations service was impeccable; they were very responsive to all of my questions. I will definitely book with them again and hope to return to Uncorked in Rosemary soon! Thank you so much for staying with us, and we are glad you enjoyed your time at the Uncorked Cottage! We would be more than happy to have you stay with us again at the Uncorked Cottage, or one of the other amazing properties in Rosemary! Please let us know if we can be of any assistance in the future, and we hope to accommodate you again! Uncorked Cottage was fantastic! We cannot wait to go back. The house is perfect for my family of 5. 2 adults and 3 teens. The bikes were perfect, restaurants close and good. And the company we worked with worked hard to make our vacation just right! You cant go wrong with this rental. We very much appreciate your business and are glad that you enjoyed your stay in the Uncorked Cottage! It is our top priority to make sure you have a great vacation and we are happy to hear that you did! Please let us know if we can be of any assistance in the future, and we look forward to accommodating you again! Beautiful, comfortable home, perfect location just 5 mins easy walk to beach & restaurants. Cozy for Winter breaks too in colder weather. Very nice cottage and a good value. Fun floorplan is set up well for a large family. Two drawbacks: 1, the pools at Rosemary are tired and in need of maintenance. 2, the gym costs additional, this should have been made clear in the booking process. 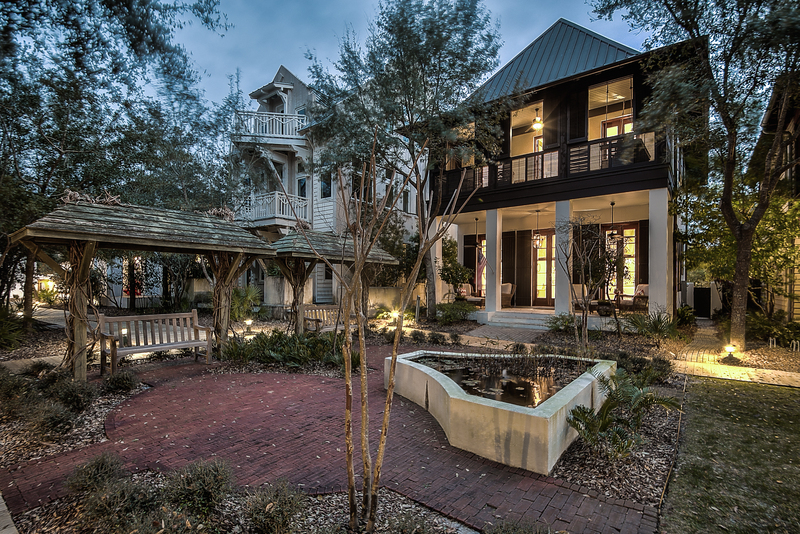 The Uncorked Cottage was conveniently located in a quiet section of Rosemary Beach. We were only a quick bike ride to the pools and the beach. The house itself was absolutely beautiful. There was room for my large family and guests at the dinner table. For a cooking enthusiast, this kitchen was a vacationer's dream. The island cook-top and range keeps the cook in the mix with family and guests as dinner is prepared. Clean up is a breeze with one and a half dishwashers. The bedrooms were large and comfortable, especially the master with the cozy swing on the private porch. Finally, the staff at 30A Luxury Rentals was courteous, attentive, and professional. We highly recommend the Uncorked Cottage for a comfortable vacation stay for a large family. Very. Nice house and very well equipped. Nice towels and bedding. Beautifully decorated perfect for 2 couples, a girls trip or a small family. Thank you so much for staying with us, and we are glad you enjoyed your time at the Uncorked Cottage! Please let us know if we can be of any assistance in the future and we hope to accommodate you again! We had such a wonderful stay at the Uncorked Cottage in Rosemary Beach. The house is beautifully decorated, very clean, and extremely comfortable. The porch opens to a spacious courtyard where our children threw the frisbee and football, and the nearby pools and shopping were wonderful diversions when we tired of being on the beach. We enjoyed the ability to park our car and not move it again the entire time we were there, as everyone uses bicycles in Rosemary Beach to get around. Also, I can't recommend 30-A Luxury Vacations highly enough. We discovered when we got home that my little girl had left some clothes behind, and the rental office worked with housekeeping to locate our items and then kindly mailed them all to us as a courtesy. It was an all-around fantastic vacation and rental experience from start to finish! You will love this place! Our stay at the Uncorked Cottage was amazing. Everyone at 30A Luxury Vacations was helpful and friendly. This cottage is beautiful decorated. We enjoyed every inch of the space and especially the front porch. Can't wait to visit again. We very much appreciate your business and are glad that you enjoyed your stay in the Uncorked Cottage. The front porch overlooking the green space is a great spot for relaxing and enjoying your morning coffee, or even your late night cocktail! We are excited to have you visit again as well and hope to see you soon! The house was very nicely decorated, with comfortable beds and plenty of room. The kids room upstairs was really great! I loved that it had it's own AC unit and had a shade on the window that kept the room dark i the mornings! The house is located on a quiet street in the back of Rosemary, with a beautiful green space at the front. Great for little ones!It is a very well managed property that I would highly recommend to friends and family. Thank you so much for staying with us, and we are glad you enjoyed your time at the Uncorked Cottage! The green space out in front of the cottage is great for so many things, and we are happy you were able to put it to good use! Please let us know if we can be of any assistance in the future, and we hope to accommodate you again! Have stayed in Rosemary Beach many times over the years but this was our first time utilizing the services of 30A Luxury Vacations. What a pleasant surprise, as we found the company to be friendly, easy to work with, efficient, and professional. Reservation process was a breeze and the 30A app for android kept me up to date throughout the process and then contained all of the relevant information about the rental property (access codes, bike lock codes, beach access info, how to work all of the remotes and stereos, etc - all personalized to the Uncorked Cottage). Uncorked Cottage was a wonderful house. We had 6 teenagers and 4 adults and were extremely comfortable throughout our stay. Spectacular main floor sitting areas and kitchen, beautiful bedrooms and baths, and the 3rd floor "man cave" for the 4 boys was ideal as it had 4 twin beds, full bath, its own TV and AC. Grandparents had the privacy of the Carriage House when needing a break from all of the teenage action. House located on a beautiful and peaceful park. What more could you ask for? Ideal. Thank you so much for staying with us and we are happy to hear that you had a wonderful stay in the Uncorked Cottage! Sounds like you guys had a great couple of days, hopefully the teenagers didn't wear out the grandparents too much! We very much appreciate your business and hope to accommodate you again! Please let us know if we can be of any assistance in the future. We really enjoyed our trip to Rosemary Beach and loved everything about the house. It was beautiful, close to the beach and the town center. We loved riding around on our complimentary bikes and having access to all of the different amenities that Rosemary has to offer. The beds in the house were also super comfy. Everyone slept great. It was also super easy to book through 30A Luxury Vacations. We used their app and I never had any questions about anything which made everything even easier. One thing I will say is that the property was dusty and some of the lamps had spider webs on could use a deeper cleaning BUT that didn't bother us. I also didn't call the rental agency to let them know about it which I am pretty confident they would have sent someone out had I called to notify them of it sooner. With all that said, we will definitely be back and would love to stay at this house again. We very much appreciate your business, and your feedback. We most certainly would have sent someone out there immediately to take care of that for you guys and I'm very sorry that it was in that condition! Please don't ever hesitate to contact us with problems as we will make sure we tend to it right away! Thank you again for staying with us and we hope to see you back down here soon!